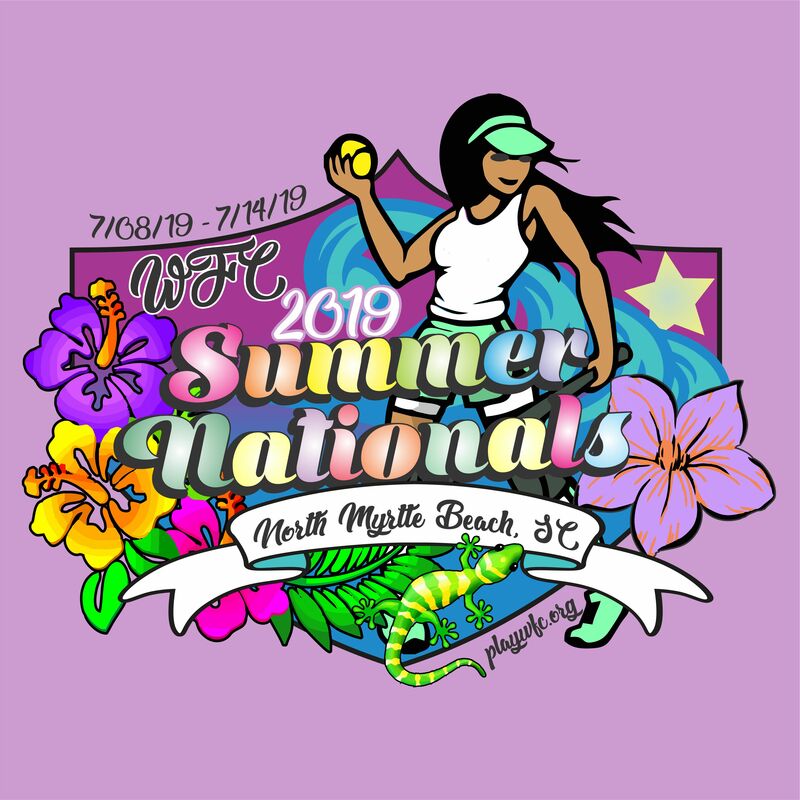 2019 WFC SUMMER NATIONALS!!! in North Myrtle Beach, SC. There are no gate, parking, or any other fees. Teams come join us at one of the best resort areas and sports complexes in the Southeast. 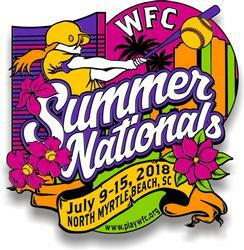 We greatly appreciate the opportunity to welcome the players, coaches and families to North Myrtle Beach. While in our beautiful city, please make sure to get your Sports Pass information. What is Sports Pass? This is an exciting program where specific restaurants, attractions, entertainment venues, golf courses and miniature golf offer discounts to players, coaches and their families while they are in North Myrtle Beach during a tournament/sporting event. To find a list of our Sports Pass partners and discounts offered, go toexplorenorthmyrtlebeach.com, go to the Golf/Sports tab and you will see the link for Sports Pass. Also our Sports Ambassadors will be at the Sports and Parks Complex with information on Sports Pass. Enjoy your time in South Carolina's fastest rising destination - North Myrtle Beach! There are no guarantees in the number of games a team will play. 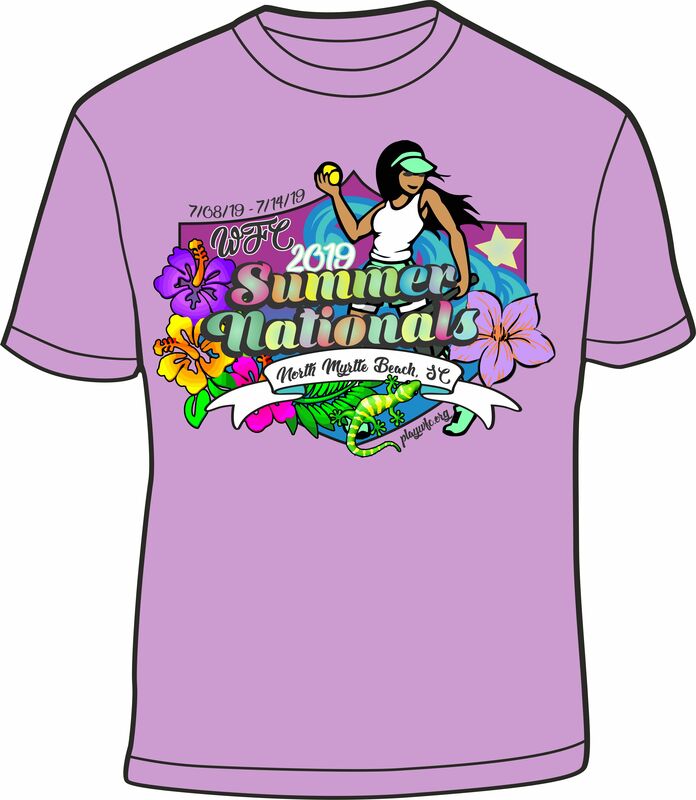 Teams Pre-Order Tournament Shirts Today! WFC does require that all parents, fans, coaches, and players be on their best behavior while attending WFC World Series Events. WFC will not tolerate any unsportsmanlike behavior. Anyone who shows that they cannot behave in a proper manner will be asked to leave the complex immediately or the police will be called. Pool games will be 1 hour & 15 mins finish the inning and can end in a tie. Seeding will be based on: Team record by Winning Percentage, Head to Head, Runs Allowed, Runs Scored, Coin Toss. The higher seeded team will be the home team for bracket play. The undefeated team will be the home team for the championship with a flip on the possible IF game. The Home team is the official scorer. It is each team’s responsibility to turn in game scores. Championship Games are 1 hour & 45 mins time limit or 6 innings for the 8u & 10u bracket or run rule 12, 10, 8. The if games will be the same. Championship Games are 1 hour & 45 mins time limit or 7 innings for the 12u, 14u,16,18u,24u brackets or run rule 12, 10, 8. The if games will be the same. Coaches remember failure to turn in a signed WFC team roster can lead to disqualification. 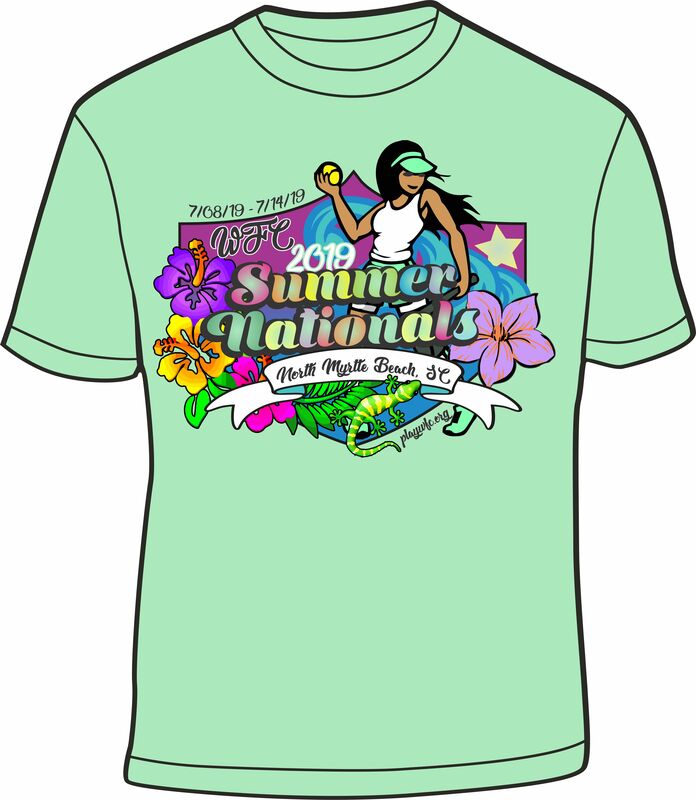 Teams must check in with at least one team representative on Sunday, July 7th from 5-7pm at the NMBPSC. It is mandatory to pick up pins, submit head coach cell number (in case of emergencies/scheduling, etc.,) line ups, & turn in a TWO signed WFC team roster. After a team turns in a WFC signed roster at check in, no players can be added. Please RVSP as it is not mandatory for the teams. WFC is going to use this event as a social gathering for everyone. We will do everything we can to make sure that everyone has a good time all while giving some girls a chance to compete in different events. It is not mandatory. We will have a DJ, and much more. The only thing that we require is that all girls come to the photo tent to get a picture. DJ at main concession area by the WFC picture tent. All games are for fun & the results are not posted. Any unsportsmanlike behavior or anyone who shows that they cannot control their behavior in a proper manner will be asked to leave the complex and can be banned from the event also immediately or the police will be called. Coaches are responsible for their players, assistant coaches, and fans. Everyone should realize the schedule is subject to change. By teams dropping out, or adding teams, due to rain, lights not working, field damage, games going extra inning, a mistake made in the schedule and many more reasons. Because of this, teams need to expect the possibility of late games on any night and tournament format can be changed. 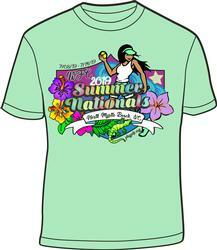 EVERYONE SHOULD CHECK THE SCHEDULE BEFORE AND DURING THE Summer Nationals. Rule of conduct: Coaches control your team & players, always showing respect. Balls and strike calls cannot be questioned; this can lead to an ejection. TEAMS: ONCE YOU ARE ACCEPTED INTO THE TOURNAMENT AND YOUR SPOT IS RESERVED; IF YOU CANCEL YOUR TOTAL TOURNAMENT FEE IS NON-REFUNDABLE. (NO EXCEPTIONS AND NO SUBSTITUTIONS ALLOWED). In case of catastrophic occurrences such as but not limited to hurricanes, fire, floods, etc. ; a tournament may be canceled regarding the safety of all teams and families. If cancellation occurs teams may incur up to a $1000.00 charge for event costs. Please contact Group Reservations at 877-779-7379 and ask for WFC rate at Bay Watch to book room with a reservation specialist. These rates are non-commissionable and are subject to all hotel occupancy taxes in effect at the time of arrival. Quoted rates are based upon 1-2 adults per room and no more than 4 persons total in a room. A charge of 10.00 per additional adult will be added, for more than 2 adults in all room types. All of our rooms are non-smoking. A fee will be charged if smoking occurs in the room. Inside Efficiency: This room has two queen beds. No View. Two separate rooms, each with one queen bed. Full size refrigerator, stove, and microwave. One TV. Ocean View: This room has two queen beds. Side view with private balcony. Small refrigerator and microwave. Oceanfront: This room has two queen beds. Oceanfront with private balcony. Small refrigerator and microwave. Standard room with two queen sized beds. This is a newly renovated room with two queen beds. ** Your WFC Sanction ID is your State Abbreviation and the number you were assigned during the sanctioning process. After process go to the Ez-Pay link to pre-pay the event. 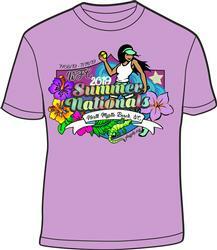 Teams that don’t pre-pay WFC events before required dates, entry fees are increased by $35.00. **ALL TEAMS ARE REQUIRED TO SANCTION WFC. SANCTIONING YEAR IS SEP. 1, 2017 THRU AUG. 31, 2018. ANNUAL FEE IS $35.00. If this has not been completed, you cannot submit your entry into these WFC events. All teams must have team insurance to play in WFC tournaments. For Insurance, see our official insurance agent. 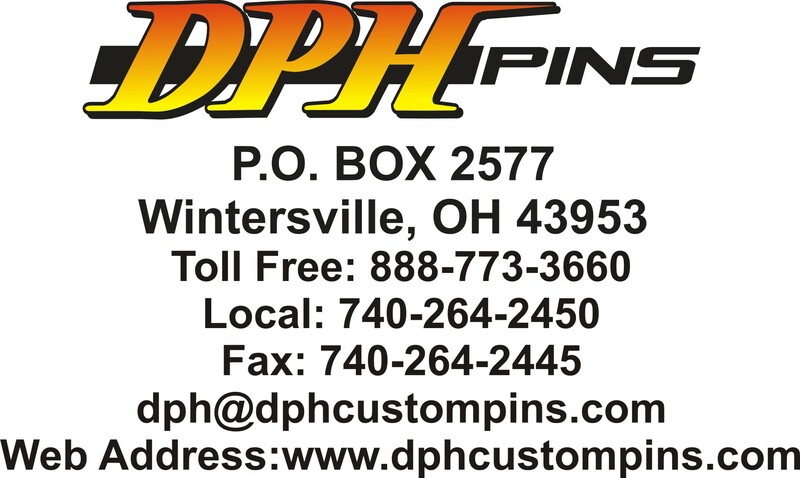 Mailing fees in must be done within 5 days of entering the tournament. By submitting this form, you are agreeing to pay and play in this tournament. Please understand that by canceling after submitting this form you may not be entitled to a refund of your money.